Enter the Heriot-Watt Univeristy campus from the east side roundabout. Follow The Avenue. When the road starts to turn to the left the Sports and Exercise Centre will be on your left hand side. The football ground is behind the sports centre. There are excellent changing rooms and hospitality facilities. There are two pitches adjacent to one another with a narrow corridor of monoblocking between them for spectators. 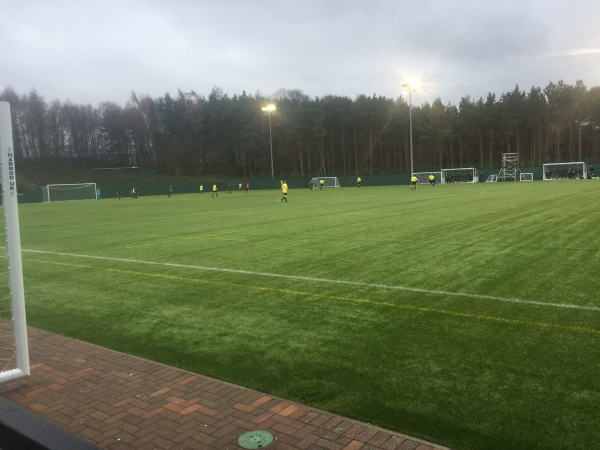 There is a grass pitch and an artificial pitch that was relaid in 2015. The facility is also used by Heart of Midlothian and the site of ORIAM, Scotland’s Sports Performance Centre. 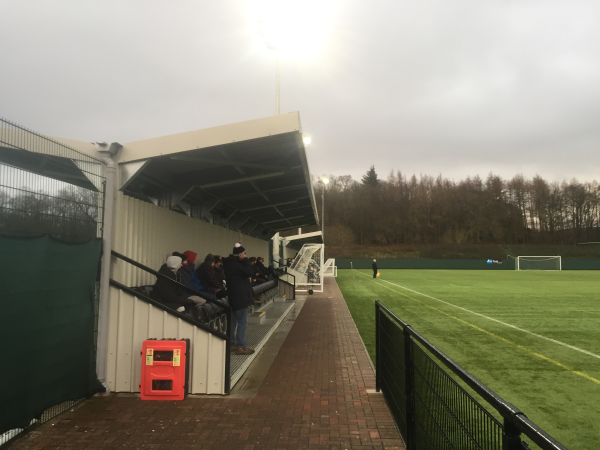 Back-to-back seated stands were added to the corridor between the pitches in March 2018.